Paramount and Nickelodeon are doing their best to sell Tin Tin to American audiences, and with this trailer they may have finally succeeded. There’s a lot of action, a lot of cool visuals, and the characters finally look like they work as physical beings in an actual place. Some of the time at least. The biggest issue I have with motion capture is the director taking his camera anywhere he wants, even unnatural places. Our eyes know that we’re seeing the impossible, and thus we reject it. With Tin Tin it looks like Spielberg is doing his best to keep that to a minimum while still keeping the patented Hergé style and humor. I’m interested to see whether Tin Tin will be nominated for the Best Animated Feature Oscar, which for once isn’t a sure thing for PIXAR this year. Could Spielberg get Best Animated with Tin Tin and Best Picture with War Horse? We’ll see, but stranger things have happened. 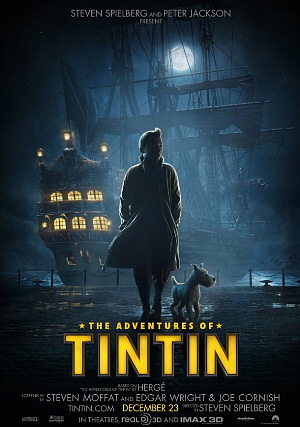 The Adventures of Tin Tin opens on December 21st, 2011. Comments for Tin Tin Swings Into Action In New Trailer are now closed.